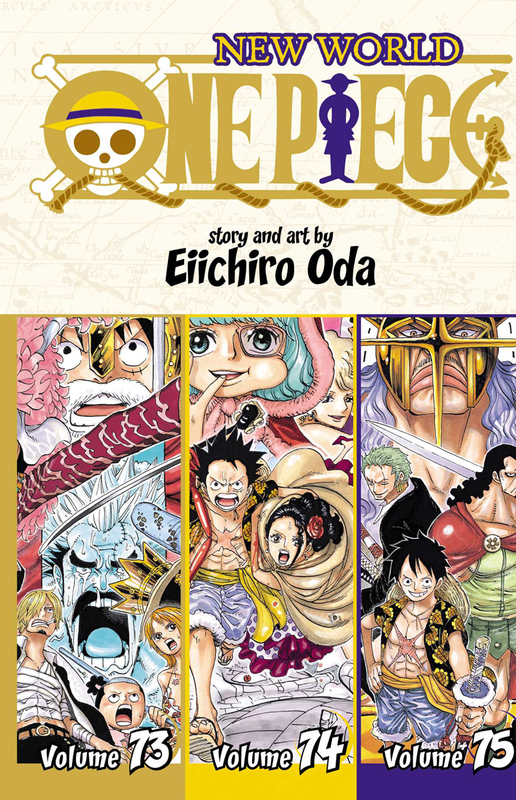 One Piece Omnibus Edition volume 25 contains volumes 73-75 and features story and art by Eiichiro Oda. Luffy and his Straw Hat Crew have formed a new alliance in order to take down the tyrants of the sea, but Trafalgar Law, their brother in arms, is captured immediately by the devious and powerful Doflamingo. 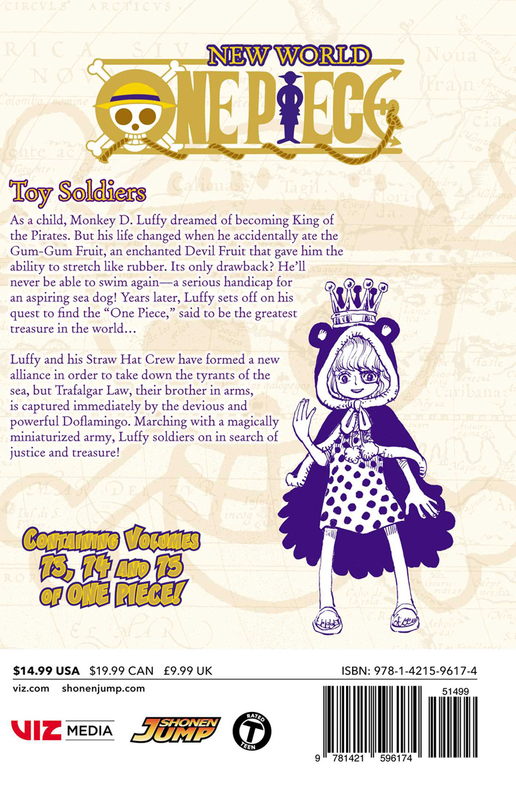 Marching with a magically miniaturized army, Luffy soldiers on in search of justice and treasure!